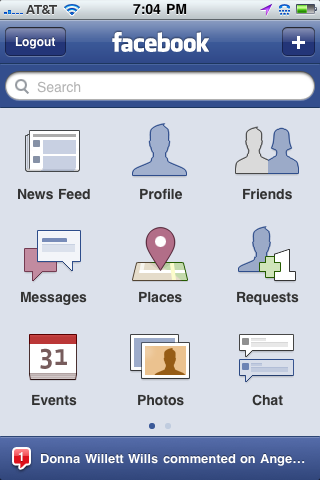 Facebook rolled out a major update yesterday call Places. Places allows you to tell your friends and family your current location using your smartphone. If you use the new feature, you can pinpoint where you are on a map so your facebook contacts can see where you’re hanging out. You can tag your friends who are standing around staring at their phones with you, and you can see other people near your location who are also staring at their phones waiting for something interesting to happen. What exactly counts as “something interesting” is up for debate. Fans of this new feature say that it’s great for finding new restuarants and hangout spots and for helping you find nearby friends. Detractors argue that “something interesting” involves others being interested in muggings, murder, and the plundering of your worldly goods. So, whether you’re wanting to take advantage of the new features…or vanish from the map, you’ll want to check your facebook privacy settings to make sure they reflect your desires. 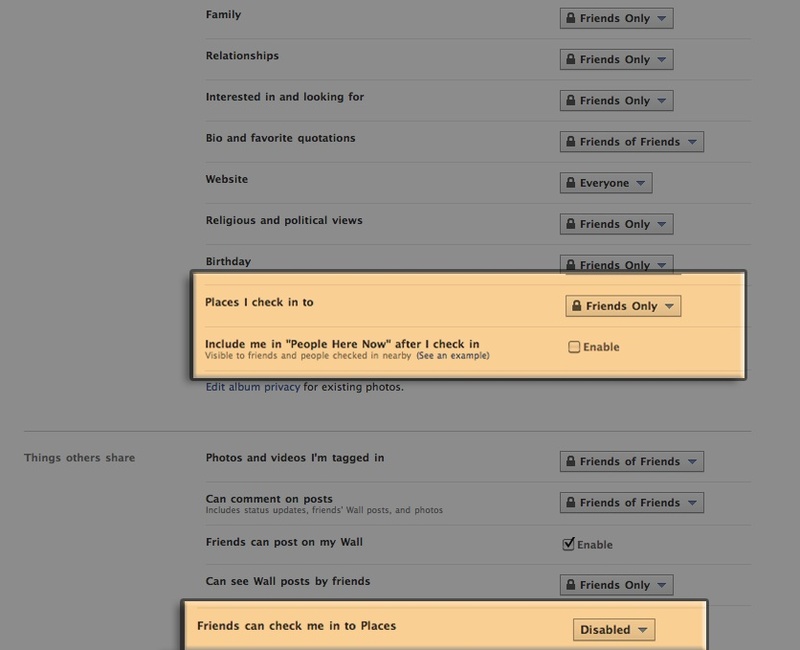 If you want to stay off the grid, here’s how to adjust your privacy settings to opt out of Facebook Places…. Click on the images to enlarge. Sign in to Facebook. Click on the “account” tab and then click on the “privacy settings” link. To make sure your face doesn’t go places you’d rather not, change these three settings. Change the “places I check in to” setting to friends only. Make sure the “include me in ‘people here now’ after I check in” enable box is unchecked. Set “friends can check me in to places” to disabled. If you don’t disable this feature, then your friends can put your location on the map without your knowledge. So, what do you think about facebook Places? This entry was posted in media. Tagged facebook, how to, lists, places, privacy, settings, tools & tips.